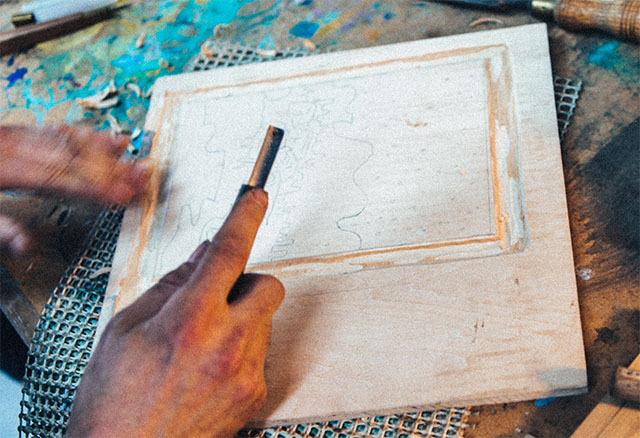 This spring, why not get out there and learn a new skill? Here’s our pick of some of the best courses and workshops coming up soon in Cornwall. 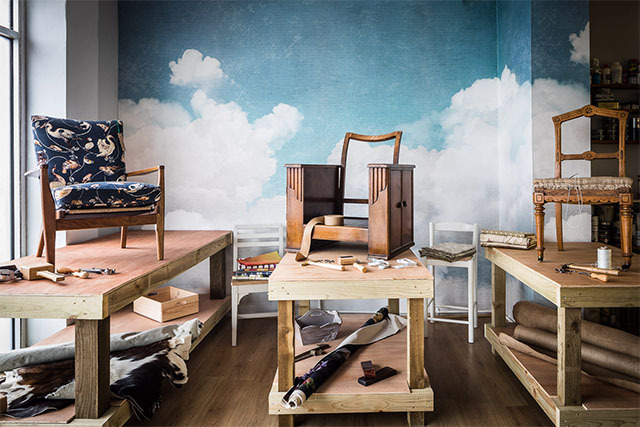 From April, furniture designer and upholsterer Polly Waite of Polliander is running regular two day (Saturday and Sunday) and five day (Monday to Friday) upholstery workshops at her gorgeous new workshop in Falmouth. The bring a chair / bring your own project / make a footstool workshops are open to all abilities. Prices start at £140 for two days and £350 for five days, with lunch and refreshments provided, although some materials may need to be purchased. For full details visit www.polliander.com. 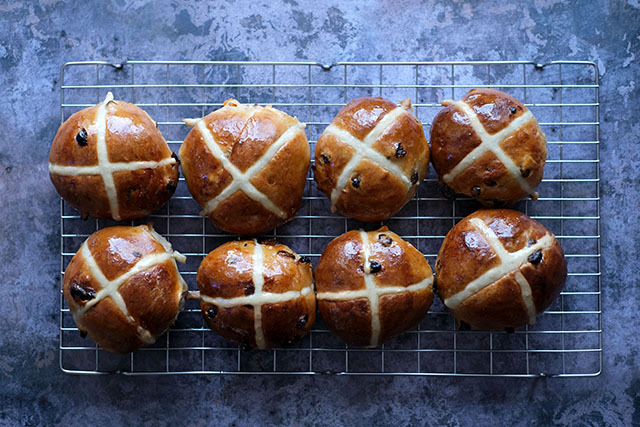 Hot cross buns feature on three of the Easter cookery courses, which run from Tuesday 9 to Saturday 13 April at Truro’s shiny new Truro School Cookery School. On the Tuesday is an Easter cookery course for 10 to 14 year olds, and the Wednesday sees a more advanced menu for 14 to 17 year olds, priced at £55 and £65 respectively, and both running from 10am to 4pm. The Spring Skills full day course on Thursday 11 April teaches a range of kitchen skills, cooking seasonal dishes such as asparagus with romesco sauce, a spring vegetable risotto, and a rhubarb and almond tart. On the Friday the Easter Baking Skills course features cake, dough, meringue and pastry. Both courses are for adults (or competent under 18s with an accompanying adult) and cost £90 per person. The Saturday “Family Feast for Four” workshop runs from 10am to 3pm, and costs £80, which includes a two course meal for four people to take home, as well as a hot cross bun ring with orange spiced butter, a bottle of wine and a bottle of “posh pop”. Fees for all courses include all ingredients, refreshments and lunch, as well as goody bags to take home everything that has been made during the day. For more information visit the cookery school’s website. Atlantic Expeditions are immersive, magical two-day SUP excursions which equip you with the mindset, skill set and tool set to plan and experience your own epic SUP journey along Cornwall’s majestic coastline. 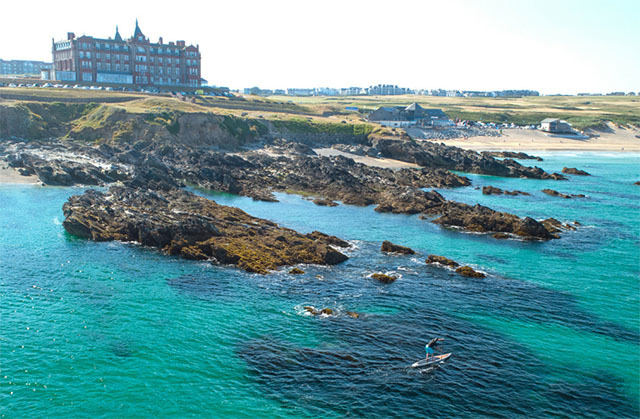 Based at The Headland Hotel in Newquay, and led by Surf Sanctuary‘s head coach Dom Moore, Atlantic Expeditions are ‘zero to hero’ courses which are tailored to you and require no previous experience. You will learn about weather systems, tides, navigation, open water paddling and rescue techniques and of course experience some stunning vistas. The two-day course is priced at £195 per person, which includes all equipment, tuition and guiding. Why not combine with a night or two at The Headland? For full details see www.surfsanctuary.co.uk. 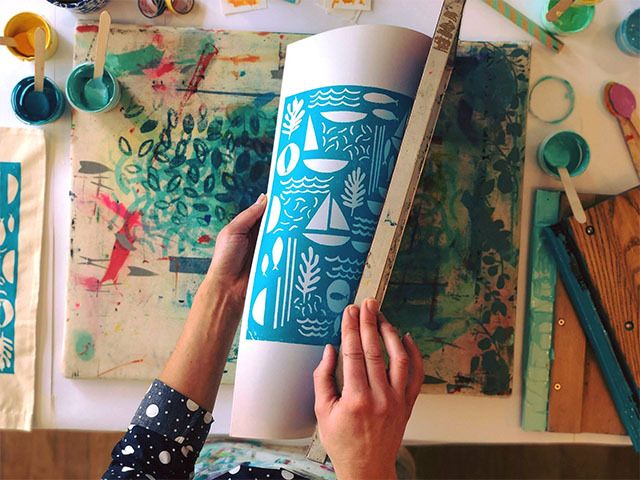 Dena O’Brien from Kiwi Print Studio is leading screen printing workshops at Una St Ives on Tuesday 9 and Thursday 18 April. Participants will get to design their own contemporary pattern-based beach bag and wall art design, combining nautical motifs and classic blue stripes using bright and fresh colour palettes. The two hour workshops run from 12.45pm to 2.45pm in Una’s pop up studio, and is priced at £25 per person, including materials and refreshments. Suitable for adults, and for children 8 years and over, who must be accompanied by an adult. Book here. 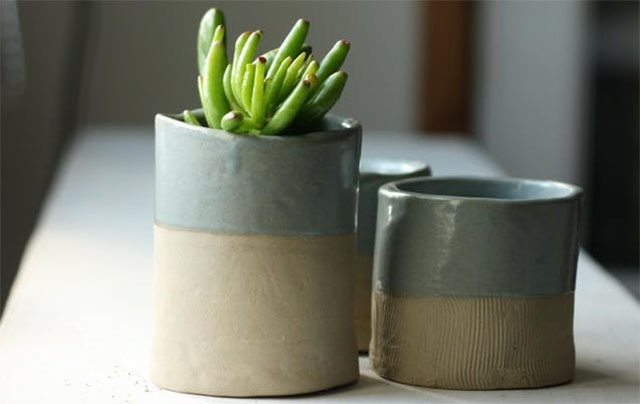 Helena from Studio Haran will teach how to slab build a ceramic mug, cup or plant pot out of stoneware clay in this two hour workshop at Huddle Café in Falmouth. Suitable for beginners, participants will learn basic clay skills, and will make at least two pots or mugs. The workshop takes place from 6.30pm to 8.30pm on Tuesday 2 April, and is priced at £30 per person, which includes all materials, kiln firing and glazing. Book online. On Saturdays 6 and 27 April, and selected dates throughout the year, visitors to Colwith Farm Distillery near Lanlivery can make their own gin. Following a 45 minute tour of the distillery, and an in-depth look at the process involved in transforming the farm’s homegrown potatoes into gin, participants will have a chance to taste the spirits produced at the distillery. 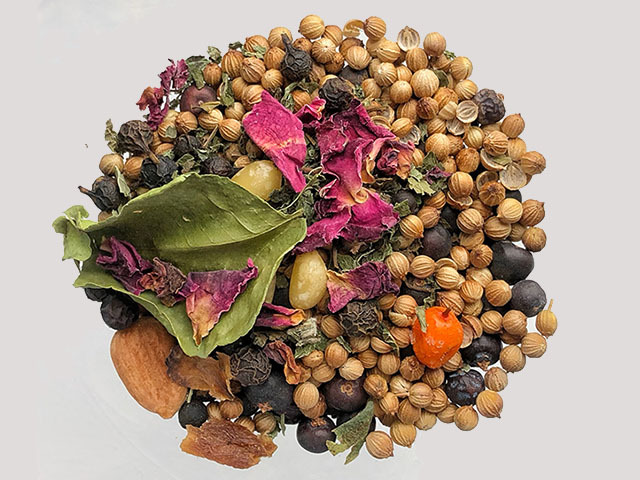 They will then carefully select botanicals and distill their own bottle of gin to take home. The tour and gin masterclass is priced at £100 per person, or £150 for two people (based on two people sharing a still in the workshop, and making one bottle of gin between them). For more information or to book a place see here, and read about Barefoot Cornwall’s visit to the distillery here. Printmaker Adrian Holmes, who has spent many years teaching in the UK and in Japan, will be leading a print workshop in the art of traditional Japanese woodblock printing at Truro Arts Co. on Monday 15 April. Japanese woodblock printing is a beautiful, meditative and environmentally friendly print process which uses watercolours and rice paste to create rich organic colourful prints. All abilities welcome. £50pp. See here for more information and to book a place. Nancarrow Farm now offers workshops in its newly renovated Butchery and Larder. See nancarrowfarm.co.uk. Cowslip Workshops near Launceston has a wide range of sewing, quilting, felting and dressmaking courses. See cowslipworkshops.co.uk. The Garden Gate Flower Company offers classes in growing flowers and creating beautiful floral displays. See thegardengateflowercompany.co.uk. Go on a foraging adventure with Fat Hen’s wild food expert Caroline Davey, based near Penzance. See fathen.org. Jeweller Sarah Drew runs jewellery making workshops at her studio in St Austell or in your own home. See sarahdrew.com. Perfect your sourdough with Coombeshead Farm’s expert baker Ben Glazer. See coombesheadfarm.co.uk. The Barn near Lanivet is a new haberdashery shop, which also runs courses on topics such as knitting, crocheting, fused glass and patchwork. See here. Potager Garden near Constantine holds regular foraging courses as well as art, pottery and textiles workshops. See potagergarden.org. Let us know about your favourite workshops by commenting below, or drop us an email.